The global PE capacity continued expanding in 2018. However, “reverse globalization”, trade protectionism and geopolitical risks were aggravated, causing more complicated international economic and political situation, and the global trade of PE also changed. In China, the scale of PE industry continued extending. Data showed that China’s PE output from January to June 2018 increased by 1.5% Y-O-Y. Meanwhile, the PE import volume and apparent consumption volume respectively rose by about 20% and 11% Y-O-Y. China’s PE market was mainly impacted by the supply and demand fundamentals in 2018. Moreover, the international trade environment, the RMB exchange rate, national policies, finance, etc. also impacted the PE market a lot. The PE capacity at home and abroad kept rising steadily in 2018, and the market competition became fiercer. Participants in the upper-middle industrial chain focused on demand characteristics, demand for subdivided products and end purchase demand. Downstream users focused on feedstock supply diversification, differentiation and prices fluctuations. All of above highlights in the PE industry will be interpreted in this report. 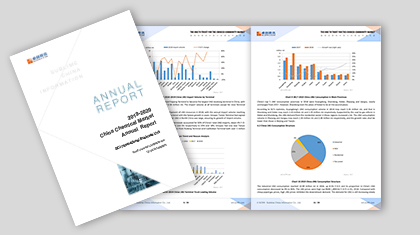 Based on the first-hand data of 14 years of investigation from SCI, the authoritative data published by National Bureau of Statistics, General Administration of Customs, National Development and Reform Commission, etc., this report makes analyses and outlook on China’s PE market in 2018, combining with senior industry experts, domestic major suppliers, traders and downstream factories. Scientific analysis methods and data models are used to forecast the future PE market. 1. Showing the change of global PE trade pattern, by analyzing global and China’s PE supply-demand pattern. 2. Showing China’s PE capacity, output, operating rate, and import and export data from 2013 to 2018 from multiple dimensions and analyzing the supply data of LDPE, LLDPE and HDPE respectively to show domestic PE supply pattern change. 3. Refining the demand and clearly showing PE demand distribution through the PE demand structure, regional distribution and the consumption structure of the LDPE/LLDPE/HDPE. 4. Analyzing PE major downstream industries to find the future demand growth pole; grasping the key point of downstream procurement by combining the demand slack and peak season as well as end procurement factors. 5. Keeping tracking the upstream and downstream inventory data, to clarify the driven factors for market prices fluctuations. 6. Guiding participants to choose feedstock through the comparative analysis of the cost and gross profit of each production process.